One of my next garden steps is to collect my own seeds. I can do the easy ones, okra/beans/peas, but am trying to branch out to the more difficult ones. 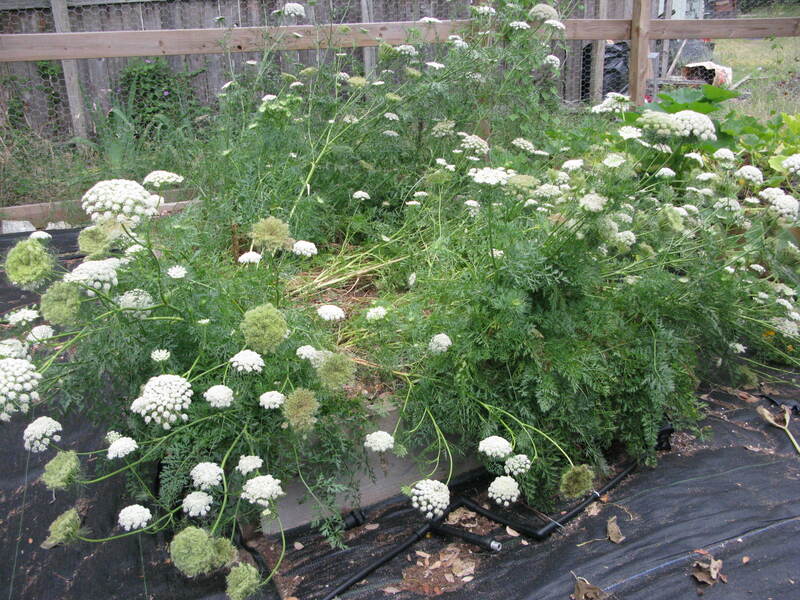 When my carrots started flowering this spring it seemed reasonable to let them go and gather the seeds. This week I just read in my seed sowing book and reverified online that it takes 2 seasons for carrots to develop seeds. Are you kidding? Now I have to decide if I want to forget the whole experiment or take the time to store the carrots until fall and replant them just for seeds. Had I known it was this big of a process I would have planned more carefully on choosing the variety, or at the very least kept track. I’m thinking I may just pull them and be done with it. At least the rabbits and chickens will like them.